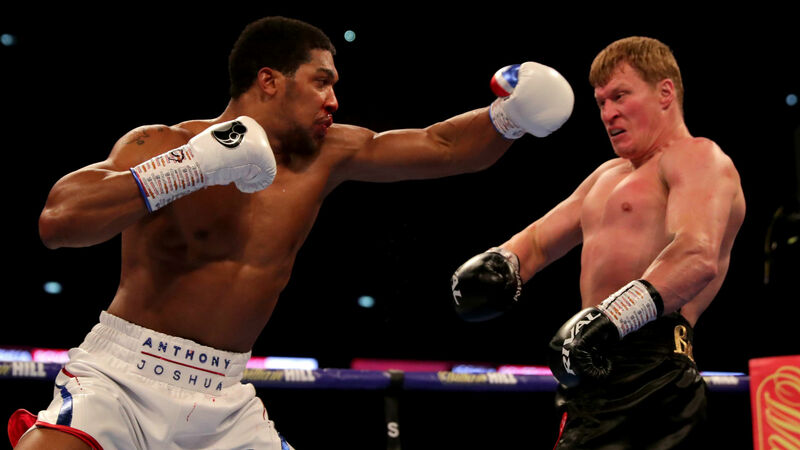 World heavyweight champion Anthony Joshua will make his United States debut against Jarrell Miller at Madison Square Garden on June 1. Joshua will put his WBO, WBA and IBF belts on the line at the iconic New York venue in what will be his first bout outside Great Britain. The 29-year-old was due to fight at Wembley on April 13 after stopping Alexander Povetkin at the London venue last September. Joshua confirmed WBC champion Deontay Wilder was his main target for that date but blamed "boxing politics" for the fight not being arranged, while a potential rematch with domestic rival Dillian Whyte failed to materialise. Miller stormed his way onto the stage to confront Joshua in New York at a promotional event for the Englishman's showdown with Povetkin last July and the Brooklyn native will get a chance to let his fists do the talking in the same city. "Wembley is close to my heart, great place, great location. But now it's time for a change," he said in a video posted on YouTube. "Myself and Deontay Wilder are the current active champions. We were looking to get that fight on April 13 but things happen, boxing politics. We had to branch out and look for other options. Jarrell Miller came up. "It's an exciting fight, he's an undefeated heavyweight. I know I'm always focused and disciplined and always looking forward, but right now I have to keep my attention and focus on Jarrell Miller. "I can't afford to slip up, there are no banana skins in this road, this road towards undisputed." Miller, who boasts a 23-0-1 record, has no doubt that he can take Joshua's belts off him in the Big Apple. "AJ is making a huge mistake coming over here to fight me in my own backyard," said the 30-year-old. "This is the fight that I've been chasing all my life and on June 1 I'm going to achieve the thing I was born to do and win the heavyweight championship of the world."